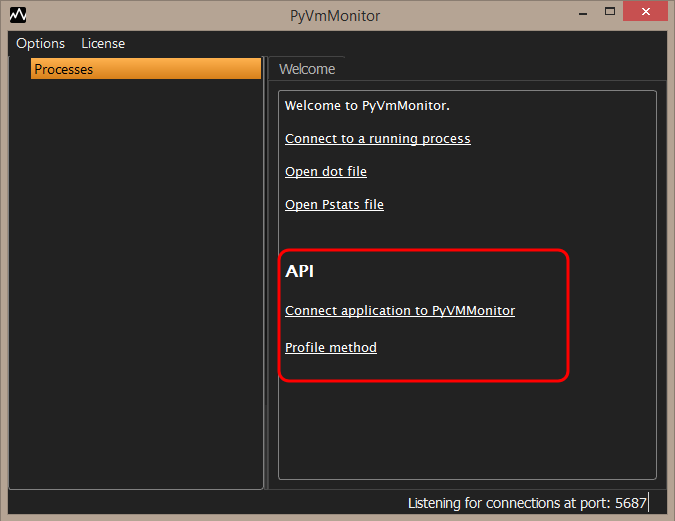 For added flexibility, it's possible to use PyVmMonitor programatically. Some use-cases include connecting programatically to PyVmMonitor (instead of using the attach to running process) and making a profile session and sending the results to be shown in PyVmMonitor. port is obtained by querying the current settings of the application. Decorator for profiling a method. If given we'll also print the profile results when the profile finishes. Should be a str or list(str) saying how to show the results.